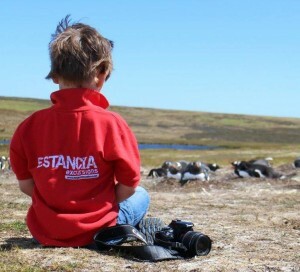 Estancia Excursions is a Falkland Islands tour business run by Nyree Heathman. We provide day trips to Volunteer Point for visiting cruise ship passengers, as well as excursions to numerous other East Falkland locations and airport transfers to and from both the local and international airports. With many years experience in the tourism industry we offer a reliable, friendly, and more importantly, an affordable service. We hope that you find this site useful and informative, and welcome your comments and enquiries.